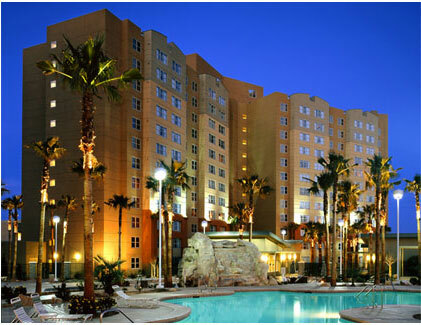 Bid Per 7 Night Stay in a 1 Bedroom Suite at the Grandview at Las Vegas! 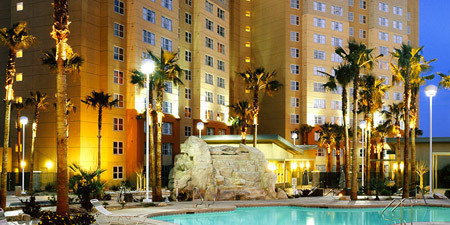 The Grandview at Las Vegas ~ Bid on a 7 Night Stay in a 1 Bedroom Suite at The Grandview at Las Vegas! 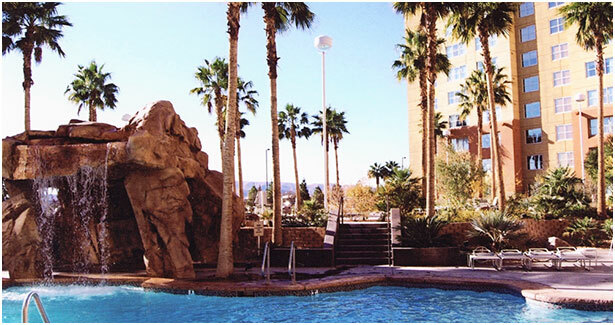 Enjoy a 7 Night Stay at the Grandview at Las Vegas in a 1 Bedroom Suite! The Grandview at Las Vegas Resort accommodations are 1,600 square feet of combined living space featuring a common foyer with separate controlled access for each suite. 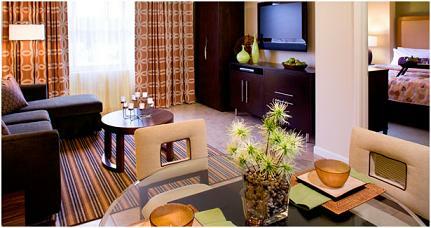 The spacious one and two bedroom suites are designed for the guest`s maximum comfort. Kitchen, living room and dining room in each suite are integrated for entertaining and enjoyment. Designated suites meet Americans with Disabilities Act (ADA) requirements. DVD Player, Hair dryers, Ironing board with iron. 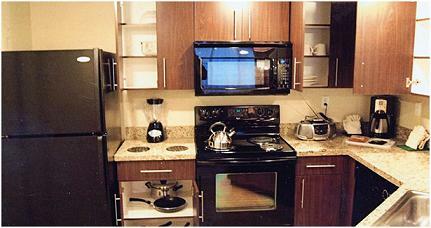 1 Bedroom Suite: Sleeps up to 4 (King size bed / Queen size sofa bed) and is equipped with a Full Kitchen. Check-in: 4:00 pm local time.Check-out: 10:00 am local time Minimum age for check-in is 21. Picture ID, major credit card and Confirmation/Hotel Voucher required. The Grandview at Las Vegas is open 24 hours, 7 days a week. Please call the resort to notify of late arrivals.Special requests are accepted, but accommodations are based on a first come, first served basis with no guarantees. Priority is given to Grandview Owners, followed by Exchangers, but every effort will be taken to honor all requests if available. 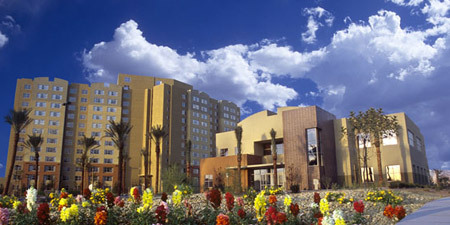 The Grandview at Las Vegas is primarily a smoke-free property. If a smoking room is desired, please advise at the time of booking. The three top floors of the Primrose and Iris buildings contain smoking rooms only. Rollaway beds and cribs are available on a first-come, first served basis. Charges may apply. High chairs are complimentary based on availability.Guests staying six or more days receive a mid-week housekeeping service on the fourth day of their scheduled stay. Daily maid service is available upon request at an additional charge. All suites are equipped with spa bathtubs. In consideration of guests staying in neighboring rooms, usage is restricted to between the hours of 8:00 am and 10:00 pm.Complimentary computer use is available for guests in the Owners Lounge located in the registration building. Shuttle service available to The Strip. Please see the front desk for fees and schedule. The Grandview at Las Vegas does not allow pets.